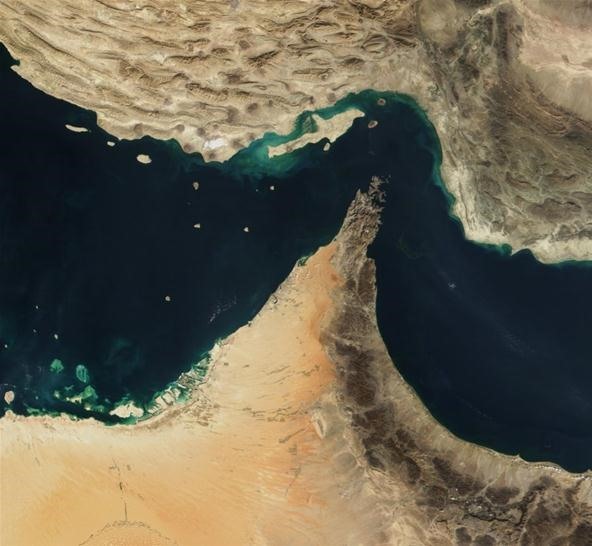 As you may or may not know, the US and France have deployed four nuclear warships on either side of the Strait of Hormuz, which, along with helicopters, scour the area for underwater mines. As such, traffic through the strait has been 'icky', with tensions at an all time high. An estimated 20% of the world's oil, which is about 35% of seaborne traded oil, passes through the strait. As you may see, this is quite a lot of traffic. And it also presents itself as a strategically important choke point. The cutoff's of Iran from the rest of the world has not only hurt Iran, but also countries that depend on it's oil, namely China, Japan, and to some extent, India. As you see, it's a huge market out there, and such isolation hurts everyone. And with such an economic noose tightening around its neck, Iran is bound to produce a response. Anticipating that Iran may kick back hard against the tough penalties building up against its nuclear program, three US aircraft carriers are standing by in the Persian Gulf – The USS Abraham Lincoln, the USS Carl Vinson and the USS Enterprise together with the French Charles de Gaulle and their strike groups. This vast amount of power present in the Middle East shows that the US and Europe are preparing for another war. A war that can be prevented even now. "Israel's intelligence services agree with American intelligence assessments that there is not enough proof to determine whether Iran is building a nuclear bomb", according to a report published Sunday in the New York Times. Why then, is the US and Israel making it look like some kind of doomsday scenario? And yet we are willing to march headlong into another, possibly more devastating, war in the name of peace. I'll argue that word has lost it's meaning.